We’ve potentially lost Poké Floats as a stage however – it’s yet to be sighted. In today’s Super Smash Brothers Ultimate Direct, several new reveals were given, including 5 new fighters, a lot of music and stages, and several quality of life changes. While no major reveal happened for the Pokémon side, we did get some new things. Ditto in particular is an interesting addition. It appeared in previews for Super Smash Bros. Melee, but was ultimately cut from the game. While other stages had been sighted before, the Melee stage Poké Floats appears to not be in the game, given we know that stages are listed in order of appearance to the Smash franchise, and yet it does not appear next to other Melee stages. It is also not listed on the main site. Ah well – every other previous Pokémon stage is in. Lastly, a rock guitar version of the Pokémon Sun and Moon Trainer Battle theme played during the Direct. Generation seven now has musical representation! 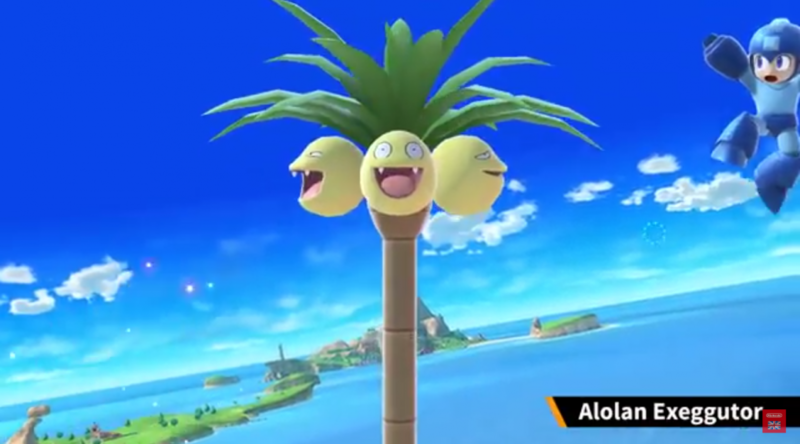 What do you think of the new Poké Ball Pokémon in Smash?